The new military charter school on Auckland’s North Shore has lost 10% of its students since opening in February this year, figures released by the Ministry of Education show. QPEC chairperson Bill Courtney says this is a sign that the charter school experiment is failing, and should quickly be stopped to avoid any more students being disadvantaged. 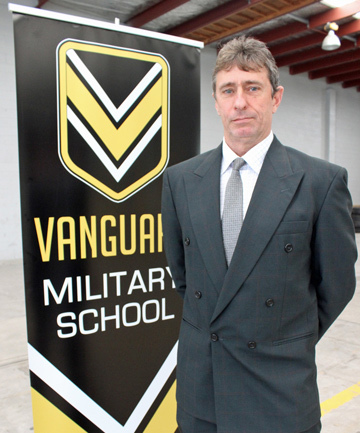 Vanguard Military School opened in February with 104 students. But according to its 1 July roll return to the Ministry of Education, only 93 students were on the roll 5 months later. This is before the second term had even finished. “Vanguard is funded for 108 students this year” says Mr Courtney, according to its contract with the Ministry, which has set the “Guaranteed Minimum Roll” at 108 students. QPEC is questioning what made such a high proportion of students leave. “The Ministry of Education raised concerns during the application process about this school’s military culture and zero- tolerance ethos, and how that would fit with being inclusive. It seems these concerns may have been justified” said Mr Courtney. “It is well known from the experience of charter schools overseas that charter schools ‘counsel out’ difficult students who could bring down school grades.